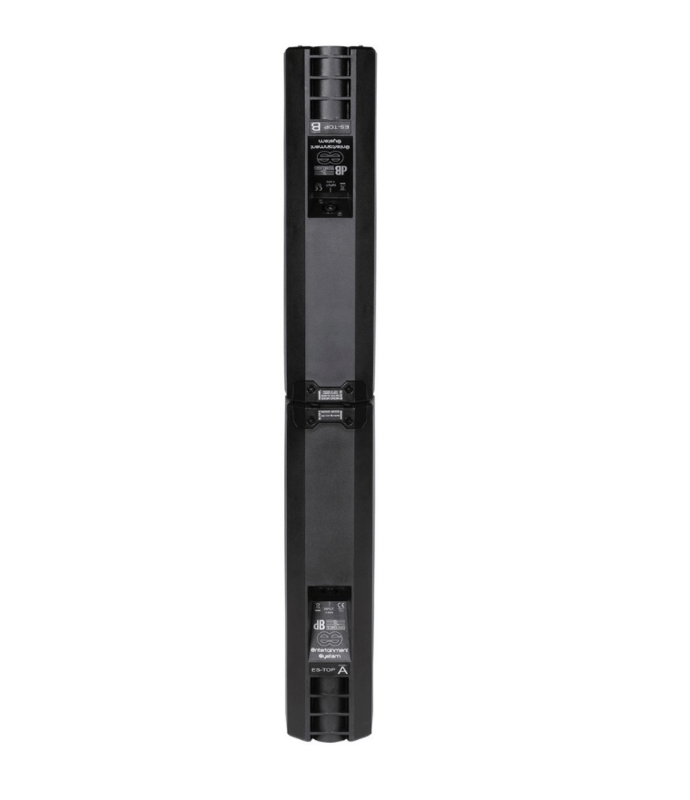 The es 503 PA system can be configured in three different modes by simply adjusting the settings via the OLED display and rotary control knob. 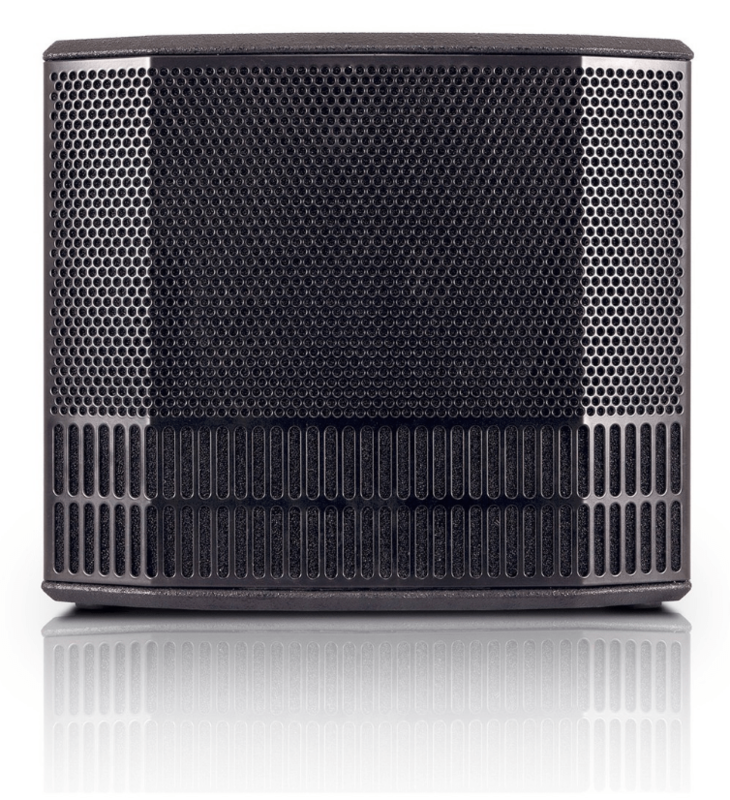 Mono Mode: The two satellite speakers are connected top-on-top – thanks to the quick and easy slide connection system – and are then mounted on the subwoofer via a 25mm pole. 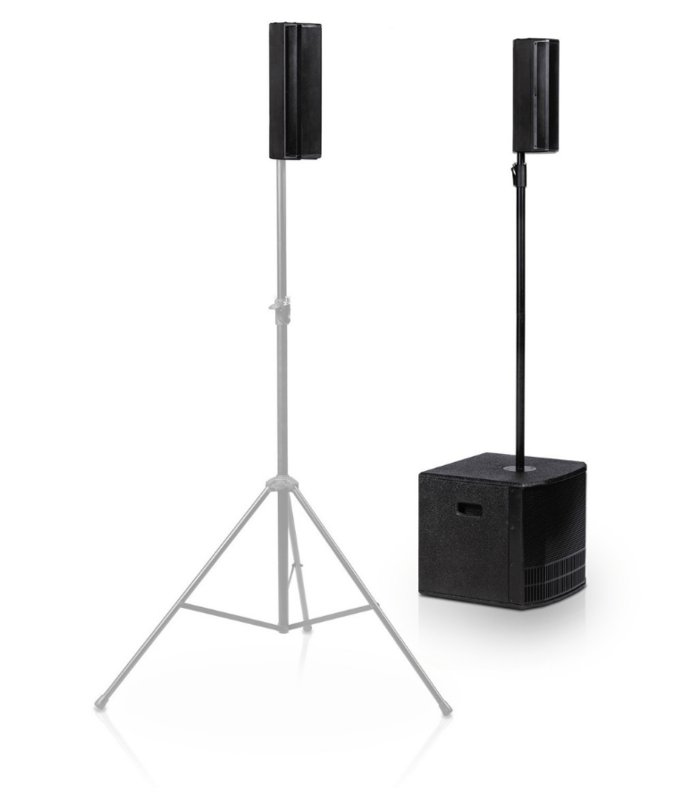 Stereo Mode: Each satellite speaker is placed individually on a tripod stand (sold separately), further expanding the field of coverage. 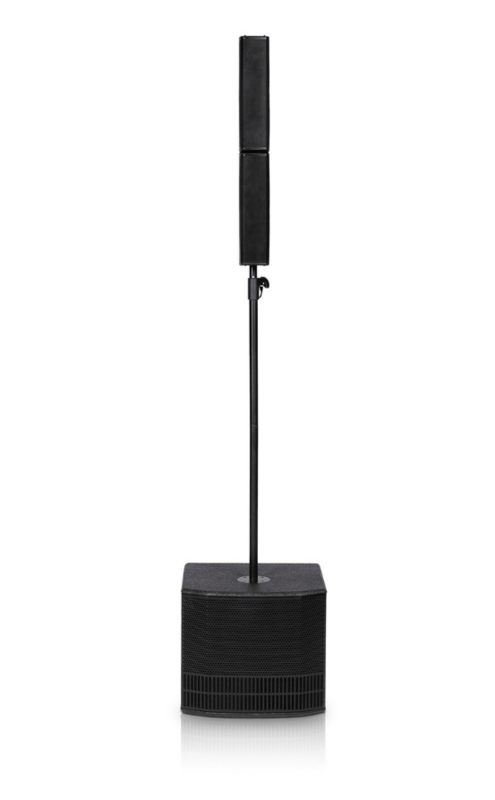 Alternatively, 2b Stereo Mode can be used to place one satellite speaker on a pole and the other speaker on a tripod stand. Double Column Mode: An es 503 system in mono mode becomes the master for a second es 503 system (sold separately) via the integrated balanced output channel. By doing so, both systems are driven by the master’s on-board mixer and any adjustments can be made exclusively via the masters OLED display. 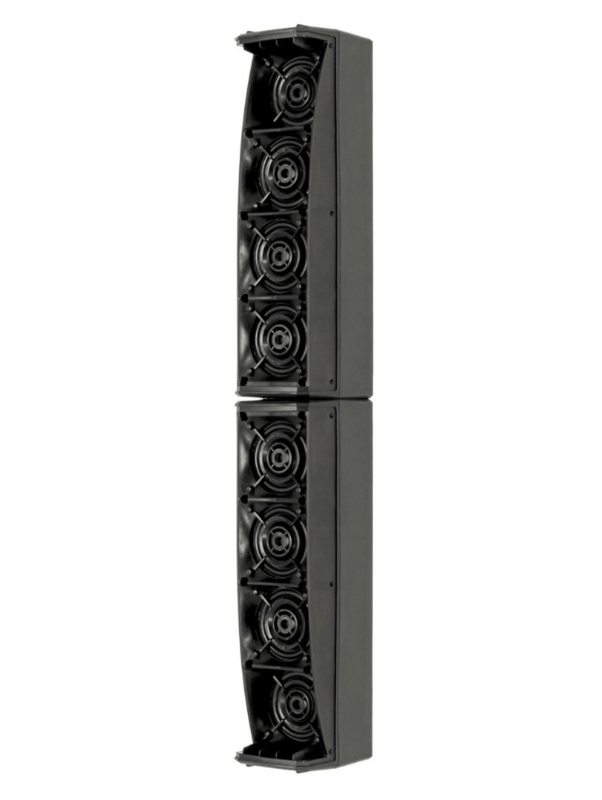 The internal design of the full-range speakers delivers an asymmetrical vertical coverage – thanks to the Logarithmic Curved Column Array technology – and a unique ”double ringed” phase plug widens the horizontal coverage, while guaranteeing perfect voice intelligibility. 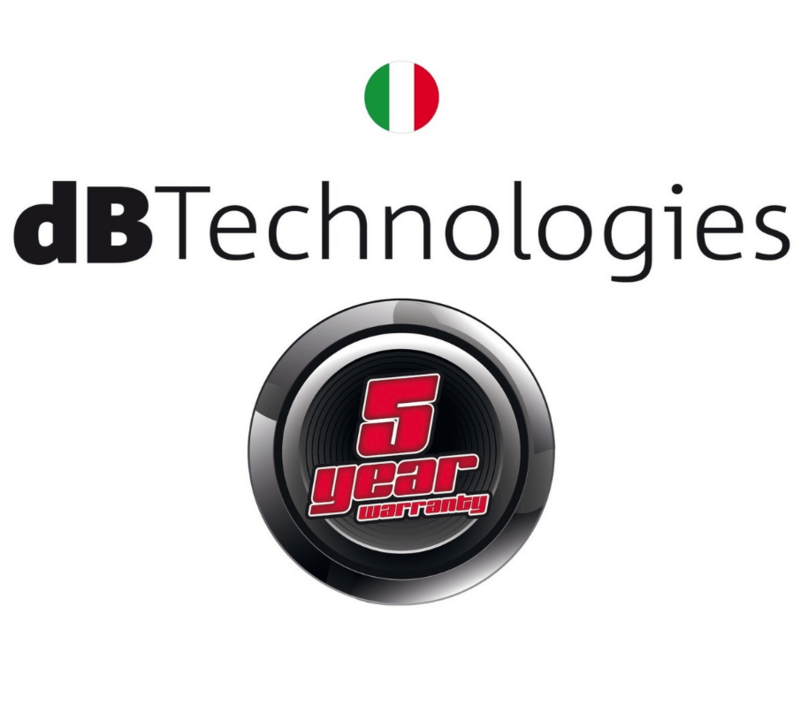 Additionally, this design allows the dB Technologies es 503 to be adapted for any situation, including for either a seated or standing audience. 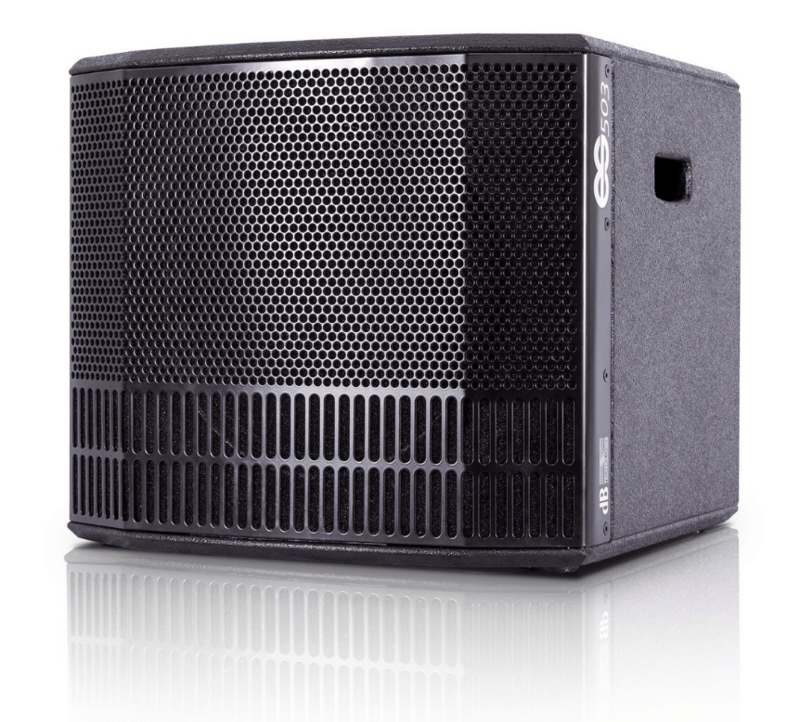 The dB Technologies es 503 is an active PA system that consists of two slave 4 x 3” full-range tops and one master 12” subwoofer. 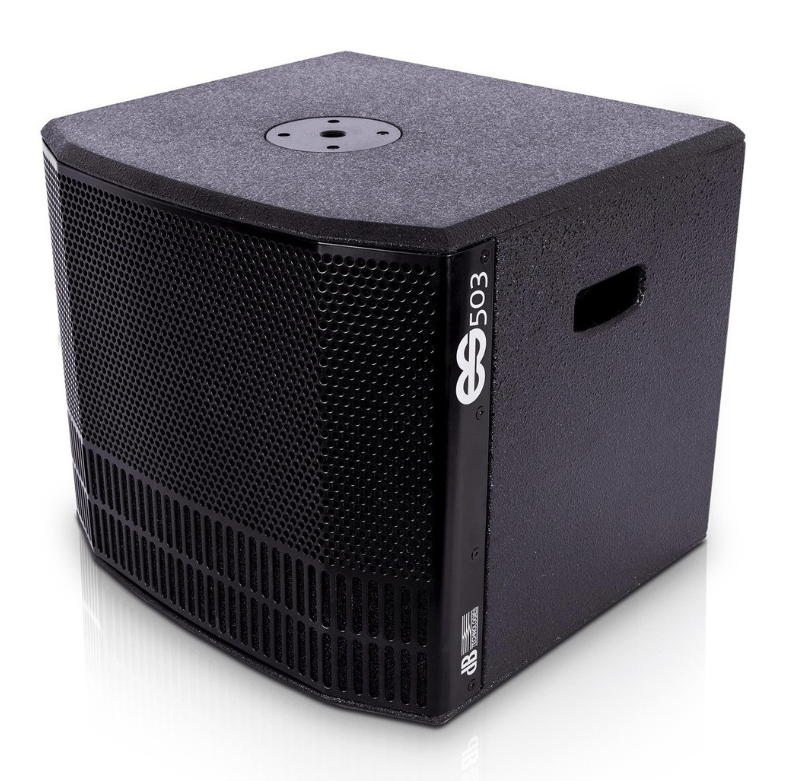 The es sub is equipped with a Digipro G3 amplifier module with a 3-channel digital mixer, Bluetooth connectivity and a powerful DSP processor. The full-range top speakers deliver outstanding clarity and vertical coverage while the subwoofer produces deep, thunderous bass responses. 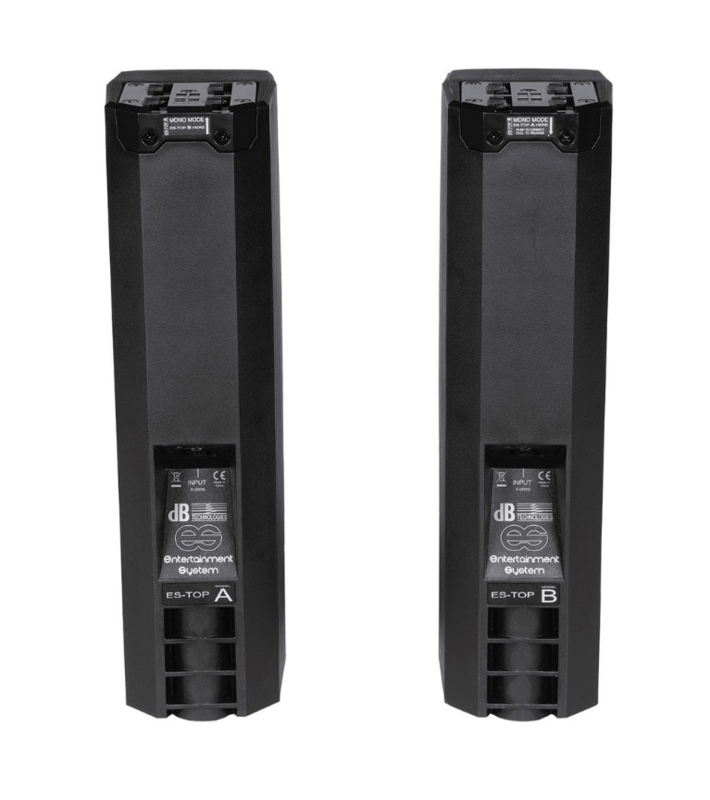 Complete with durable cabinets and a lightweight design, the dB Technologies es 503 PA System is perfect for a wide range of live performance environments.